Whether you’re a basketball fan or not, it’s hard not to back what Nike SB did with their NBA series. Not sure what they did? They took some of their finest silhouettes, blacked them out, and made it so the black fades as you skate them, ultimately revealing another set of colors underneath. 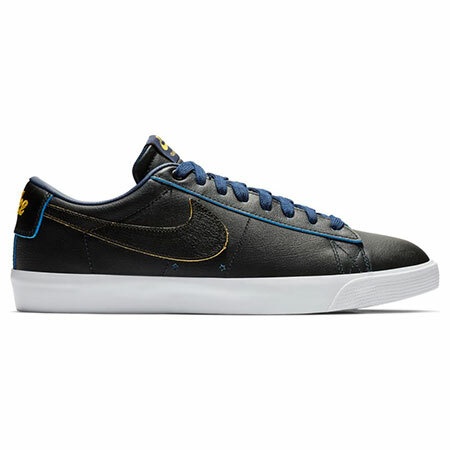 This particular model reveals a yellow swoosh and blue leather upper. Solid twist on the GT Blazers, Nike. I personally back it. How about yourself? Let us know in the comments! Check them out below, then shop all things Nike here.